When Google first announced the new Nexus devices, it also said it would be matching various other streaming music services by offering a family plan to monthly subscribers of Google Play Music. It was unclear when those family plans would be made available, but the official announcement just came out and the plans appear to be on the way in the next few days. According to Google, the option to sign up for a family plan will be made available "in the coming days" for users in the US, Canada, the UK, Australia, France and Germany. There are plans to add more countries later, and the service will be available to users on Android, iOS and the web as well. 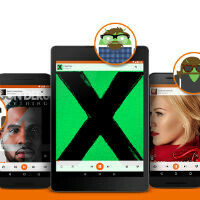 The family plans will include Google Play Music streaming for up to six people for $14.99 per month. And, of course, Google Play Music isn't all that comes with the subscription, because YouTube Red will also be bundled. That means in addition to access to the more than 35 million songs in the Play Music library, anyone in your family plan will get ad-free access to YouTube, options for background and offline playback of YouTube videos, and the exclusive content on the way through YouTube, which may eventually include original programming. Given that the individual subscription to Google Play Music is $9.99, this seems like a pretty easy choice for anyone who isn't a loner. Just grab a buddy, and split the costs. How would google know who is in my family or not? You Would have to register different email address given the different youTube settings and things. If you can trust that buddy to be responsible with your credit card, since the plan requires that the primary account holder's credit card be available for music purchases on Google Play to every family member on the plan. You can have purchases require your Google password so they can't just purchase things without your knowledge. They need a student discount like Spotify. why? if you are a student and short on cash just use the free versions. Jussaying, but why is there a lot of ads on my android phone when I go visit phonearena? I'm on my passport and everything's fine, I get on my priv and bam, hit on the face with endless ads especially at the top of the page. Also, anyone knows how to listen to youtube on the background? Kinda sad my priv doesn't do this out of the box like my passport and z10 do. Background play is one of the selling points of YouTube Red, so I doubt Android devices are able to do this without the service. Of course, I meant using the YouTube app on Android. Not saying I agree with it, I wish it were a standard feature. I was merely giving you the answer and the reason why I believed it was so. Dude that is crazy! Haha I can even fast forward through youtube commercials!! Wtf!! I'd have never thought android phones were this messy and centered on generating revenue, although it makes sense to turn the world's most popular OS into a money - making machine. Sorry just a little sad, haven't owned an android phone since 2012 (note 2) and the features that I hated haven't changed. I hope the android community raises against Google for limiting android so much from its potential. Just signed up for this. The only downside is that they require you to share your credit card info with the whole family. Any app purchases on a family members account will be charged to the primary account holders card. I guess this is a deterrent for people to share it with all of their friends. You signed up for the Family plan? If I understood the article correctly, that wasn't supposed to be out yet until the coming days. You can sign up for it through the Play Music app right now. And like Matt said, anyone on your family plan can use your credit card (assuming you're the primary account) to purchase apps, music and movies. It's already out. I signed up last night. And like FakeMatt says, it uses one credit card—the primary account holder's card—for everyone in the family so everyone can purchase stuff on Google Play using that one card. With that caveat, the only other person I intend to include is my wife. Not going to risk having others having access to my card like that. So let me get this straight, if I sign up for a family plan, then it makes my card the default payment card for all Google Play purchases on the other Google accounts sharing the plan? Am I understanding that right? Also, it should be fine as long as they don't purchase anything, right? None of us typically buy paid apps, or music or the like on Google Play. Yes so choose your family members wisely. I may have to sign up for this. Already paying $10, adding $5 for the wife is a deal. I guess people who are still paying $7.99 (early subscriber discount) won't get a discounted Family Plan. Oh well. I guess to add my wife and 2 kids at $15/month is still better than paying $38/month for everyone individually ($8 + $10 + $10 +$10).